Margaret K. McElderry Books, 9781442487819, 320pp. The Warriors series meets Redwall in this first book in an epic animal adventure series set in the subway tunnels of Brooklyn and for “fans of Erin Hunter, Brian Jaques, and Kathryn Lasky” (School Library Journal). "Captivating and cunning, Mouseheart is the next great adventure. Mouseheart is the first in the series which promises to deliver grand adventure and great storytelling. Hopper is one little mouse who roars! Readers who loved Jacques' Redwall series and Hunter's Warrior series will love this new series." “[A] captivating animal fantasy set in the subway tunnels of modern-day Brooklyn, NY. 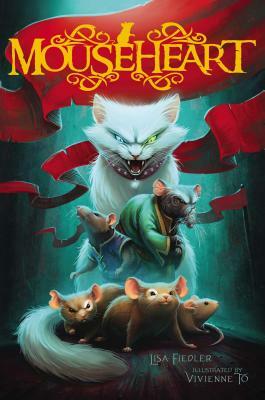 Mouseheart will please fans of novels by Erin Hunter, Brian Jacques, and Kathryn Lasky." "The underground world and mix of intrigue, prophecy, and betrayal bring to mind Suzanne Collins’ Gregor the Overlander series....Fans of Brian Jacques’ Redwall Abbey series may enjoy this modern adaptation of rodent politics and warfare." "A tiny, new hero has arrived! [A] Braveheart-style epic adventure...The story also emphasizes love and loyalty, and provides clear examples of mercy and restraint."